Morey Boogie Morey 132 B.E. The 132 B.E. was Morey Boogie's first production board to feature heat lamination. Prior to the 132 B.E., the foam skins were glued on using contact cement. This particular board is an early example of the 132 B.E. and features EVA foam skins, giving the board a strange, fleshy feel. The edges appear to have been smoothly by a knife, and the edges are nicely sealed. There is still evidence of experimentation with the product - the "Morey 132 B.E." is branded on the rail instead of on the deck. 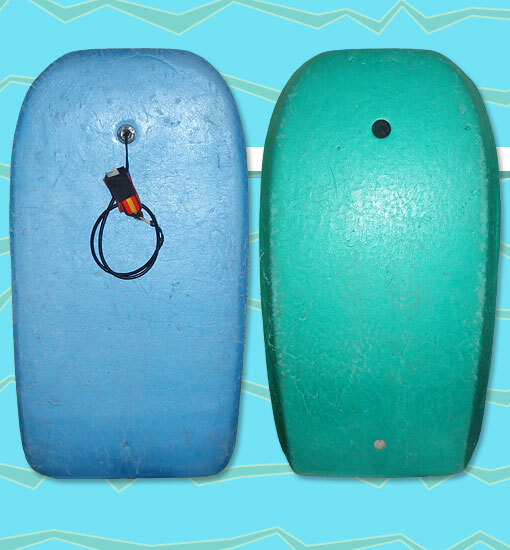 VintageBodyboards.com :: All Bodyboards :: Morey Boogie :: Morey 132 B.E.